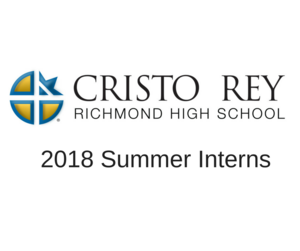 This summer Cristo Rey is excited to welcome aboard three college interns. Keller is a rising senior at Randolph-Macon College where she is studying Communications and Journalism. Keller has a passion for both public relations and marketing. She has held a number of positions at Randolph-Macon, including Vice President of Marketing for Alpha Gamma Delta sorority, Vice President of Public Relations for the Panhellenic Council and Public Relations Chair for Students for Environmental Action Club. This year she takes on a larger role as Randolph-Macon's new Social Media and Graphics Intern and the new Vice President of Rho Lambda Sorority Leadership Society. She enjoys traveling and recently studied abroad in Martinique, a small, french speaking island in the Caribbean. Additionally, Keller likes to spend her time working with children and is a preschool teacher at First Presbyterian Preschool in the summers. As a Richmond native and recent Saint Gertrude High School alum, Keller is eager to dive back into the RVA Catholic school culture and work for Cristo Rey Richmond High School. She is excited to have the opportunity to work with Cristo Rey this summer and be a part of the launching of the new school. Derrion Bennett is a rising senior at Randolph-Macon College studying Spanish with a minor in Chemistry. He is from Washington, D.C. and attended Bethesda-Chevy Chase High School in Bethesda, MD. Derrion serves as President of the Phi Kappa Sigma Fraternity at Randolph-Macon College, Safety Management Chair of the The Big Event Executive Committee, a Student Assistant for the EDGE Center for Career Development, and previously served as his chapter’s Service and Philanthropy Chair. Derrion fell in love with Cristo Rey Richmond when he learned about the mission and services that Cristo Rey network provides. He is a service-oriented person, and loves working with and helping others. Additionally, Derrion is part of the Stinger Radio and Broadcast Society, Yellow Jacket Newspaper, Diversity Council, National Residence Hall Honorary, and the Student Conduct Board. Derrion has never travelled outside of the United States, but he will be studying abroad this coming January or Spring Term. Erica is a rising second year at the University of Virginia majoring in Biology on the pre-med track, as well as minoring in Religious Studies. Originally from Glen Allen, Virginia, Erica has always enjoyed helping her community, as she has previously lead a team in Relay For Life, ran after-school theater organizations for elementary schoolers, and participated in College Mentoring for Kids. In her free time, she enjoys acting in theater productions, playing her ukulele, exploring downtown, and participating in her school’s Chi Alpha Christian Fellowship. 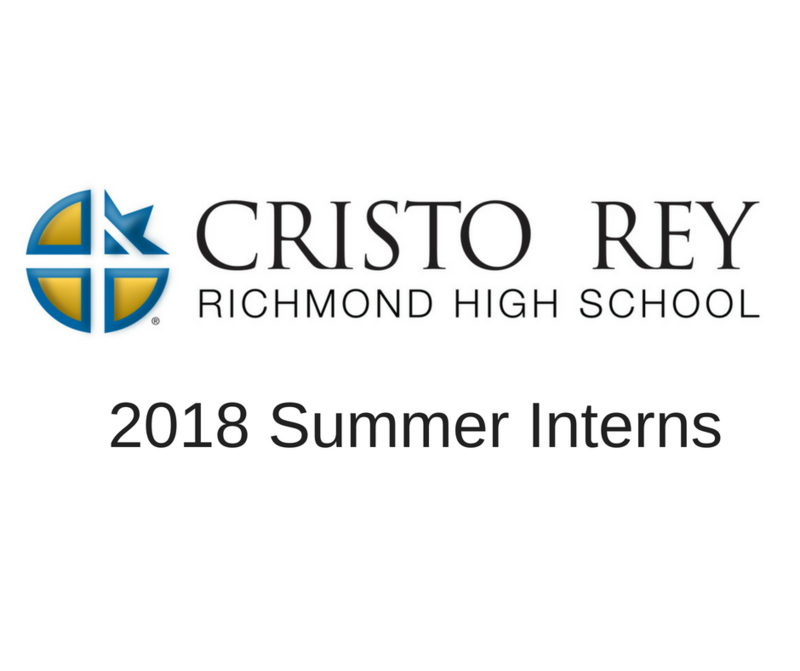 In Summer of 2017, Erica was an intern for Katie Yohe, the Director of Administration, and is amazed at how much Cristo Rey Richmond grow in the past year. She’s excited to continue to work for Cristo Rey again this summer and help bring this incredible school to students in the Greater Richmond Area.